The National Science Foundation reports that we have between 30,000 to 50,000 thoughts per day, about twenty million thoughts per year. As shockingly high as this may seem, it’s not surprising given the fact that our minds almost never stop thinking. Even more amazingly, we repeat 95 percent of the same thoughts we had the day before! If our thoughts are practically the same day to day, it is likely that our attitude on most subjects has become ingrained, etched into the wiring of our brains. So, attitude is the way we typically think about what we encounter in the world: People with negative attitudes have minds dominated by negative thoughts, and people with positive attitudes have minds dominated by positive thoughts. An attitude is nothing more than an evaluation of a subject or object that ranges from extremely negative to extremely positive. Although our attitude is divided into negative and positive polarities, the world actually isn’t divided into negative and positive things. When it rains, the sunglass salesman is unhappy while the raincoat saleswoman is overjoyed. When it snows, the skier is happy and the trucker is annoyed. Circumstances do not determine our negative or positive attitude because there are no inherently negative or positive circumstances. So, who then decides your attitude? You do! We perceive things as negative or positive only because of our own interpretation, and realizing this is a huge step toward being able to create a more beneficial attitude. Prominent psychologist Gordon Allport describes attitude as “the most distinctive and indispensable concept in contemporary social psychology.” Learning to create a new habit — the habit of positive attitude — is critical to changing ourselves for a better life. 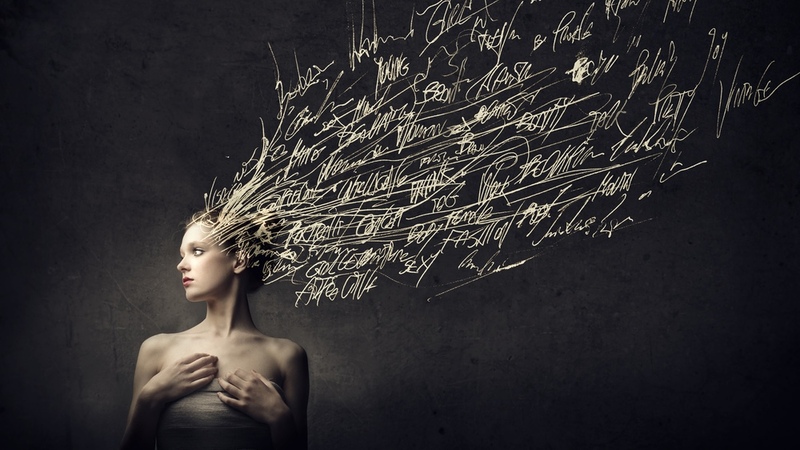 Your thoughts are mainly structured in words that comprise your inner voice and self-talk. It’s the voice that is reading this book to you in your head right now. It’s also the voice that may pipe up right before you have a speech to say either “you can do this, and it will be fun” or “you’re going to mess this up, and everyone will think you’re an idiot.” This is the voice that is talking to you non-stop, 50,000 thoughts a day, 20 million times per year, with almost nothing new to say. If you want to develop the resilient, can-do attitude you need to succeed, you need to train this inner voice to support you unconditionally. Marci Shimoff, bestselling author of Happy for No Reason, says, “Research shows 80 percent of our thoughts are weighted toward the negative.” This means that if we have 50,000 thoughts a day, 40,000 are leaning negative. It may not seem like negative thoughts can do any real harm since they are just thoughts, but this is not the case. They have serious impact on our physical and mental health. Researchers have linked negative attitudes to addictions, psychosomatic disorders, anxiety, depression, and a host of other mental and physical problems. ★ Filtering means that you filter out the positive parts of a situation and focus only on the negative parts. For instance, after working on a long project, you might reject all of the compliments that you received and only remember the criticism. ★ Personalizing is the tendency to automatically blame yourself when something bad happens. For example, if an evening with friends is cancelled, you might assume that it’s because nobody wants to be around you. ★ Catastrophizing is expecting the worst possible outcome to any situation. For example, if your spouse doesn’t come home on time, you might think that he or she is cheating on you or has crashed the car. ★ Polarizing is a type of black and white thinking that equates anything less than perfection with failure. For instance, if you were to say something awkward at a party, you might feel the whole night is ruined. Do you recognize any of these mental habits in your own attitudes? More than likely, if you are honest with yourself, you will recognize that you have fallen into these psychological traps at some time or another, if not often. Don’t feel bad about that; every person on the planet, me included, has at one time or another. You might even call these tendencies “human nature.” The important thing is to be able to see yourself clearly enough to realize when you are using them. Then, you will have taken the first major leap toward changing them. People often reject positive thinking as unrealistic or as a way of living in denial, yet it’s important to remember that nothing is inherently good or bad. It’s only good or bad depending on the investment and relationship to the people involved. Reframing things from negatives to positives also doesn’t require any bending of the truth; it is just as accurate to point out a positive feature as a negative one. The main difference between negative and positive thinking is the effect they have on our attitude, our energy levels, and eventually our health. mood and puts things into perspective. And best of all, appreciation costs nothing and requires virtually no effort to implement. Nothing in your life needs to change for you to change how much you appreciate the things that are already in your life. This ability to choose our attitude is the essence of Bo Yoga Philosophy. Here is a picture that I have framed in my room to remind me to choose a positive attitude no matter what happens to me. How to turn New Year’s Resolutions into a lifestyle.